The team of young roboticists, Galacticos, of the Instituto de Robotica de Xalapa (Robotics Institute of Xalapa), won the FIRST PLACE at the Festival Nacional de Robotica (National Robotics Festival) 2018 held in Torres Vedras, Portugal, from April 25 to 29. 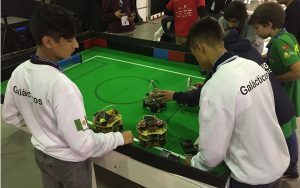 The Galacticos team participated in the category of soccer robots, RoboCup Junior Soccer LightWeight, winning four games, which was in first place in the leaderboard and therefore the official winner of the Portuguese tournament, in its category. 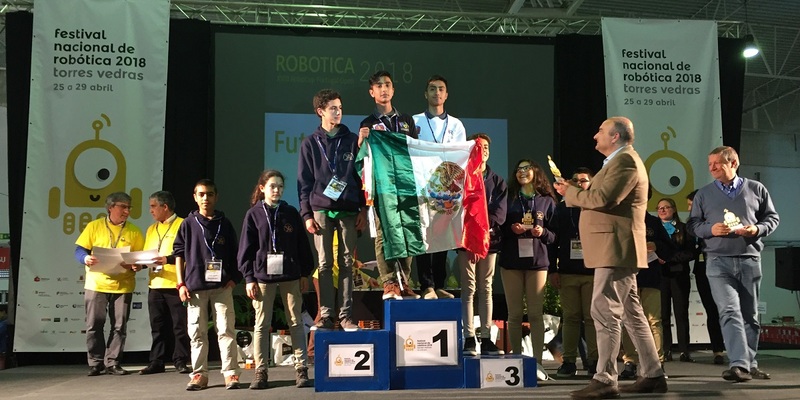 It should be noted that the Galacticos team also won the FIRST PLACE in the Mexican Robotics Tournament 2018, held in March, which earned the right to represent Mexico in the international competition RoboCup 2018, which will be in Montreal, Canada, of the June 17 to 22. This participation in Portugal, was a proposal of international blank that the Institute of Robotics of Xalapa proposed to the parents of the young roboticists, and also served as preparation for RoboCup 2018. To participate in Portugal, the boys built two new robots, based on the two winning robots of the Mexican Robotics Tournament 2018. With this, it was possible to improve the performance of the robots and reach Portugal with a good level. 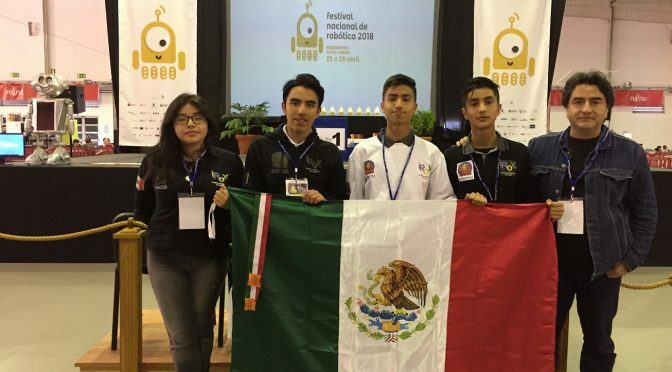 The Robotics Institute of Xalapa thanks the parents of the young people who made the effort to obtain the economic resources so that their children could go to participate in Portugal.